The new ScopeMeter IIB with ultra bright high contrast display uses sophisticated technology to provide 25 MSPS acquisition rate and 100MHz bandwidth. The Series IIB features random repetitive sampling rates of 5 Gigasamples/sec. Your ScopeMeter test tool combines the capabilities of an easy-to-use digital storage oscilloscope with the versatility of a digital multimeter. 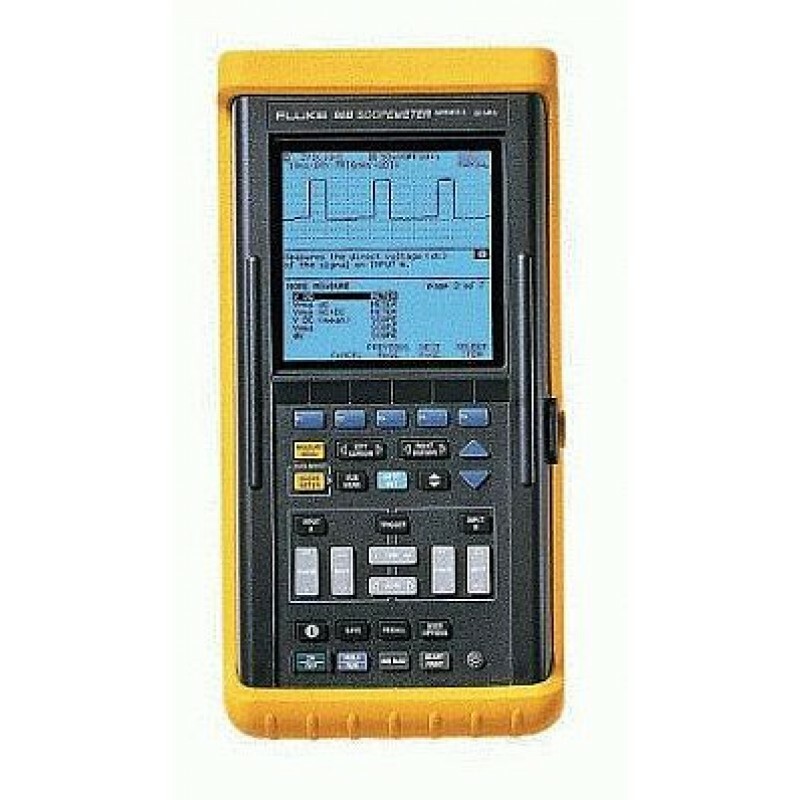 When you select a measurement function, the test tool automatically chooses the best setup to analyze and compare complex waveforms, or simply to read voltage levels. 3 2/3-digit, 5-MHz Digital MultiMeter (DMM). Measure menu for quick setup. Continuous Auto Set? function for hands-off signal probing. Large memory for front panel Setups, Waveforms, and Screens. Min Max TrendPlot? function with time stamp for long term recording. Optical to RS-232 interface port, 600V isolation.